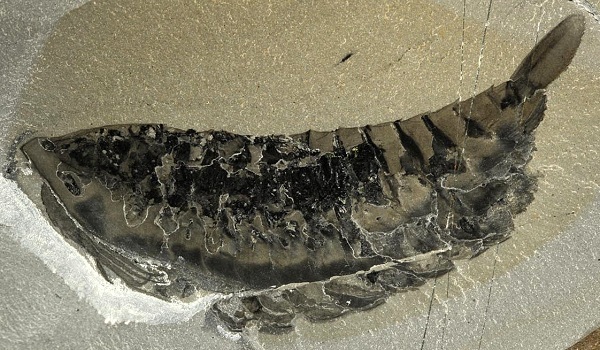 The famous Burgess Shale fossil locality in the Canadian Rockies has a new neighbor, and it appears to be even more promising as a glimpse of evolution's "Cambrian explosion." 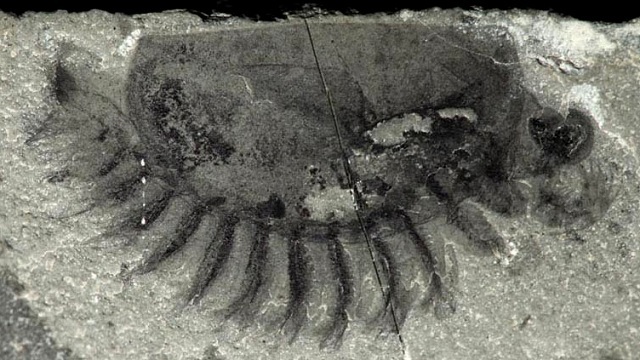 The new Marble Canyon fossil quarry, just over the hill from the original Burgess Shale site, has spectacular fossils of soft-bodied creatures that differ notably from those of its 100-year-old neighbor, the Walcott Quarry. In studying the life of the geologic past, we're limited to the fossils that nature happens to preserve. Most places have none; many places have just hard parts like bones and shells. Just a handful of places seemingly preserve faithful replicas of everything—skin, internal organs, feathers, even embryos. Places like that are called lagerstätten, and the Walcott Quarry is one of the most important in the world. Now Marble Canyon is another. 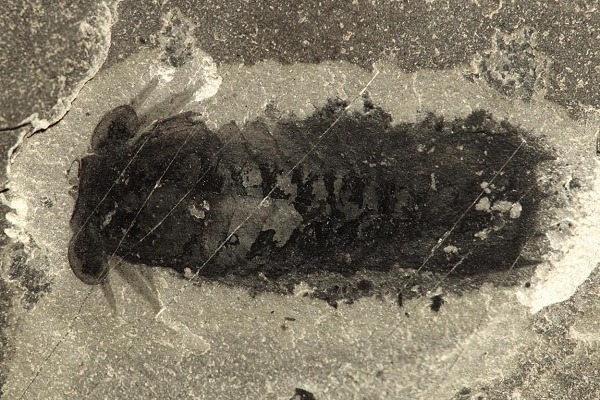 The Marble Canyon lagerstätte was unveiled this week in the journal Nature Communications, including the photos reproduced here. 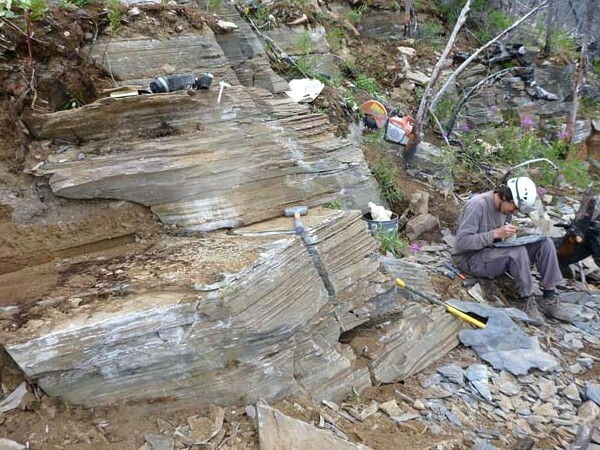 The authors lived a dream that every fossil hunter has: they studied the geologic maps and planned a search for the same rocks found in the Walcott Quarry. A year later, a helicopter dropped them high in the Rockies and they ambled over to a pile of boulders shed off the mountainside. Picking through the stones, they quickly found the fossils they sought. Team leader Jean-Bernard Caron recalls, "They had been weathered by the elements probably for thousands of years, but that did not matter to us! Everybody in our team stumbled across treasures, and in a matter of a few days just doing simple 'talus picking,' we had found hundreds of specimens without much effort at all! I still remember exclamations of awe by my colleagues and field assistants every few minutes or so—it was unbelievable! These were very exciting times indeed." (Read more in his own words on the website of the Royal Ontario Museum, which sponsored the expedition.) One of those exclaimers was a Californian, Pomona College professor Robert Gaines. Next they went uphill and found the boulders' source. For the rest of the two-week stay, they mined this little outcrop and took home a total of 3,067 fossils. The significance of their find sank in as they prepared and analyzed their fossils over the following year. In their two weeks of digging, they had collected 55 different species. Fossil collecting follows a so-called rarefaction curve, which describes the rate at which new species are found as time goes on. The curve always levels off as the collector eventually finds every species that's there. The rarefaction curve for Marble Canyon looks even better than the one for the Walcott Quarry. 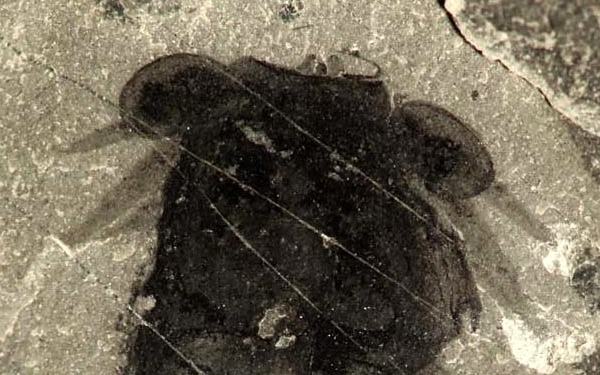 The bigger picture in which these new fossils fit is the abiding mystery of the Cambrian explosion, a period about 500 million years ago in which life burgeoned with new species and new body plans at a rate not seen before or since. It was as if a whole new world had opened up to life, and nearly all of today's major animal classes arose at that time. Explanations involve the rise of free oxygen in the atmosphere and the creation of the protective ozone layer, the availability of calcium with which to build hard shells, and the evolutionary "arms race" of predators and prey. 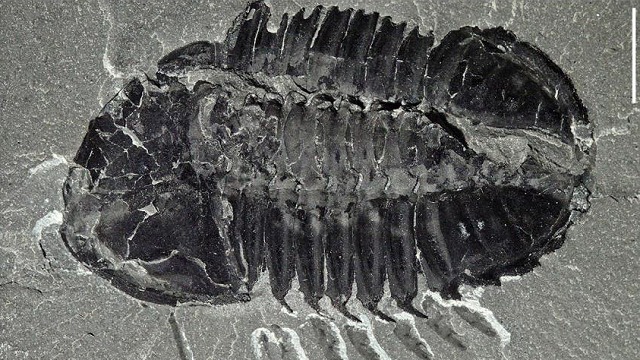 The Cambrian explosion is a key problem in evolution, by which I mean that biologists and paleontologists are having the time of their lives and learning things that shed light on the rest of life's history on Earth. The Marble Canyon fossils are a few million years younger than the Walcott Quarry, giving us a new point in time to help unveil the big story.